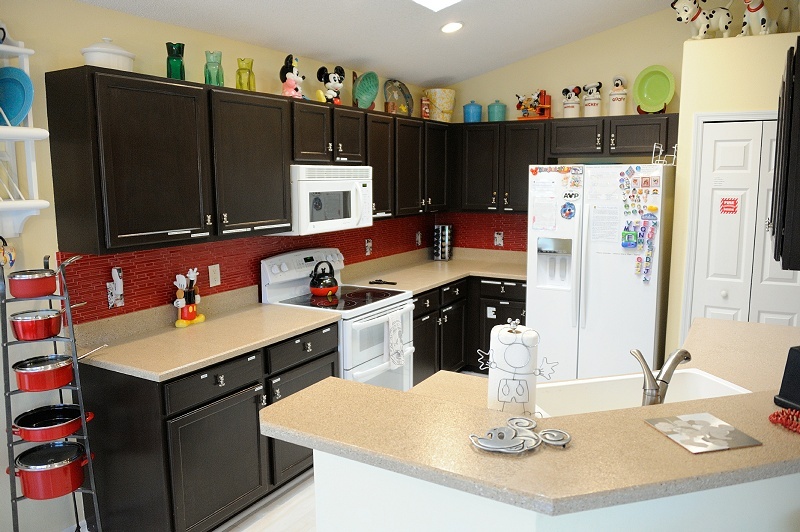 The Idyll Mouse One is a four bedroom, three bath, 2140 sq ft (floor plan), luxury rental house with heated private pool and 8 person spa, located just three miles from Disney World (area map), in Kissimmee Florida. Use the yellow menu bar above to navigate this website. Virtual Tour: There is an extensive virtual tour of the property with a unique integrated map feature. Fully Outfitted: Very service-oriented rental. So close to Disney that you can see the fireworks from the pool and spa! 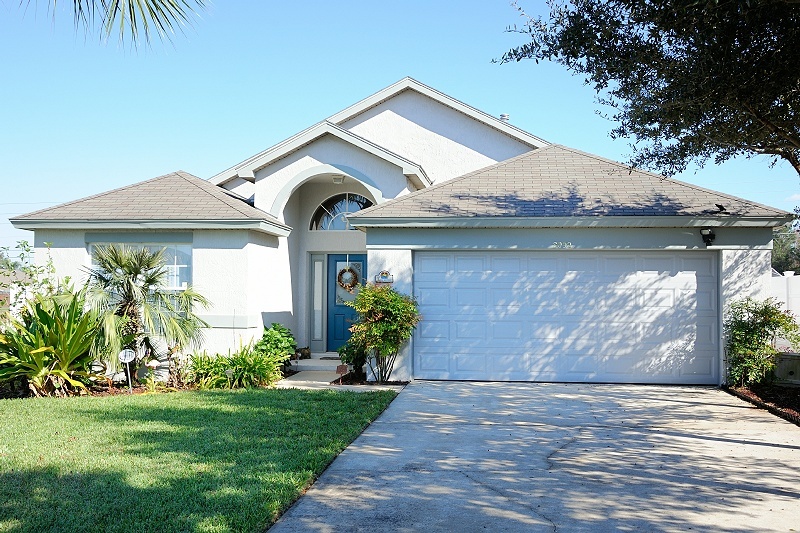 Just minutes from Disney World, Universal Studios, and Sea World. 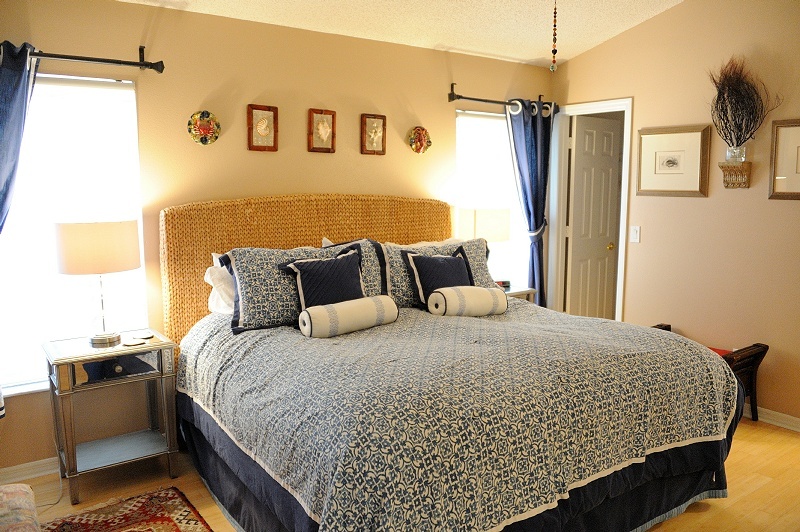 Renting/Rates: Rates range from $199 to $385 a night, and there are sometimes Specials. Review the Sample Lease and Sample Dog Addendum and Contact us when you are ready to book, or if you have questions. Dog Friendly: As with all of our rental properties, well-behaved dogs are welcome at Mouse One. Golf/Activities: There are lots of golfing places nearby. Activities in community include: Tennis Court, Basketball Court, Putting Green and Children's Play Area. View seasonal weather information. Press: Mouse One was featured as Nose And Tails Pet Friendly Lodging of the week. Updates: New 50" 4k SmartCast HDTV to Living Room in Jan 2019  New 43" SmartCast HDTV to Second Master Bedroom in Oct 2018  New roof/shingles in March 2018  Children's bedroom redone in Fall 2017  Resurfaced pool in June 2017  Replaced HDTV in First Master with 48", plus Chromecast in March 2017  Replaced Garage A/C with high power unit in July 2016  New red glass tile backsplash (between counter and cupboards) to Kitchen in Sep 2015  Added 39" HDTV to Second Master Bedroom in May 2014  Added 46" HDTV to First Master Bedroom in Feb 2014  New fence all the way around property in Dec 2012  Kitchen counters and cabinets redone in Jan 2012  Bathroom counters, cabinets, lighting, and mirrors redone in Jan 2012  New window treatments in Oct 2005  Added fiber optic lighting around pool/spa in Oct 2005  Added a fireplace and media center with HDTV to the Living Room in Oct 2005  Replaced all carpets with bamboo hardwood flooring in Sep 2005.